Xinet is a leading developer of network server software for digital asset management for prepress, printing, and publishing. 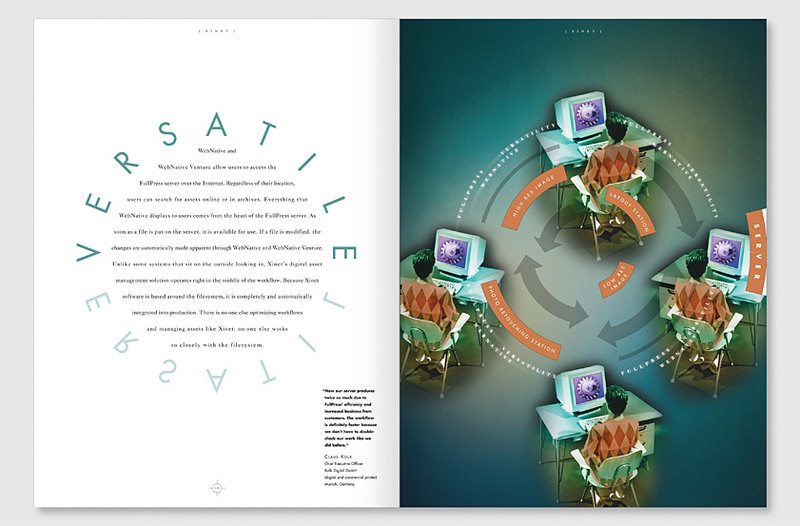 The cover depicts a pulsating, dynamic network which, upon opening, becomes the key markets for the company’s services. 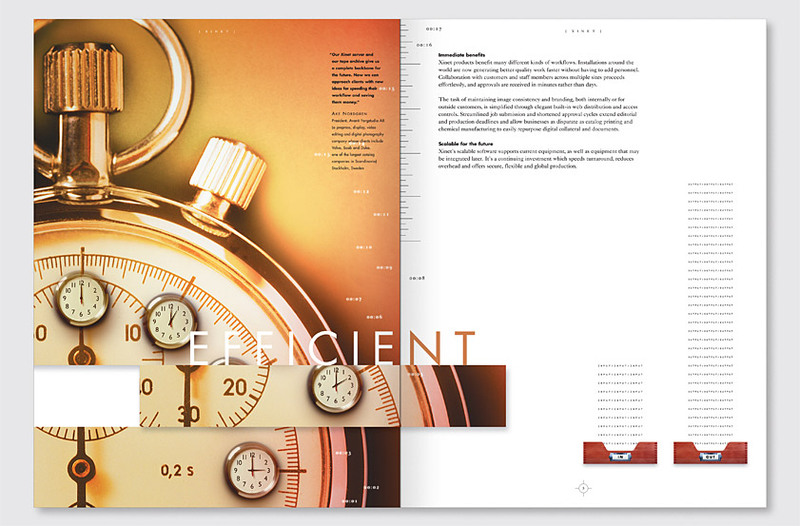 Our solution was designed to showcase Xinet’s software and workflow in use, employing metaphors for time management, streamlined workflow, and versatility to communicate key product benefits. A metaphorical slice of time conveys improved schedule management. 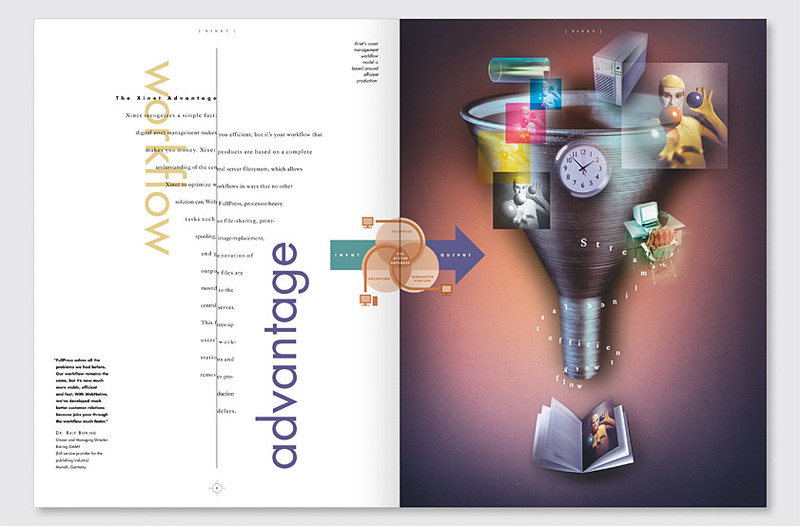 A funnel assembling a printed piece from start to finish creates a powerful metaphor for streamlined workflow. 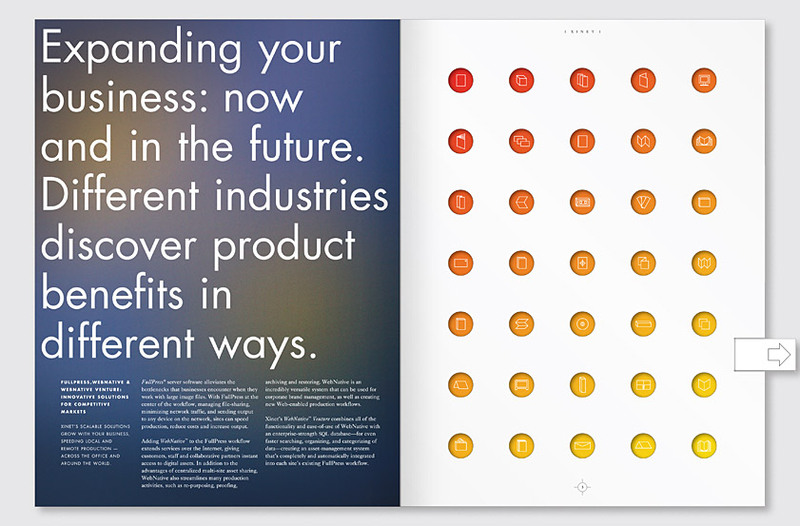 To appeal to the printing-oriented audience, the brochure utilizes several interactive print production techniques: a pull-out tab enables users to discover the wide variety of media and markets for Xinet products, and a rotating wheel conveys the versatility of the company’s proprietary workflow. 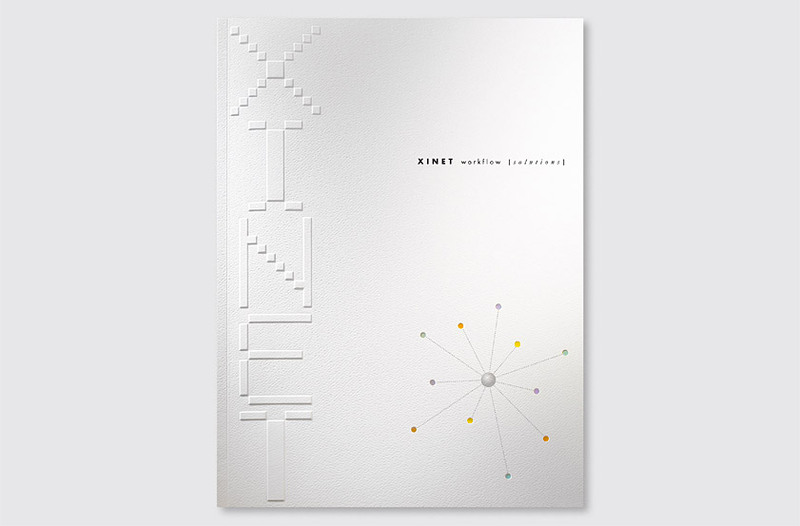 The brochure was successful in enabling Xinet to capture a leading market share within the industry.